Aku terasa sangat. Terasa sangat-sangat. KUALA LUMPUR, Malaysia – The Malaysian government has refused to release 10,000 Bibles confiscated for using the word "Allah" to refer to God, a banned translation in Christian texts in this Muslim-majority country, an official said Wednesday. An official from the Home Ministry's publications unit said the government rejected pleas by church officials to allow the Bibles, imported from Indonesia, into the country. Christians say the Muslim Malay-dominated government is violating their right to practice their religion freely. Such religious disputes are undermining Malaysia's reputation as a harmonious multiethnic, moderate Muslim nation. About 30 percent of the country's 28 million people practice Christianity, Buddhism, Hinduism or other faiths. A Home Ministry official said the government told the importer last month to return the Indonesian-language Bibles, which are still with customs. "Actually the publications, the Bibles are already banned," said the official, refusing to elaborate. He declined to be named because he is not authorized to make public statements. The Bibles contain the word "Allah," which is banned by the government for use by non-Muslims in an apparent bid to appease Muslims. Church officials say the word "Allah" has been used for centuries to refer generally to God in both Indonesian and Malaysian languages, which are similar. The Roman Catholic Church is challenging the ban in court. 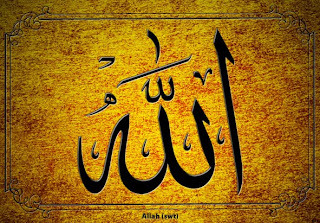 The government maintains that the Arabic-origin word "Allah" is an Islamic word and its use by Christians and others will upset Muslims. Another 5,100 Bibles, also imported from Indonesia, were confiscated in March and have not been released. But the ministry official did not immediately have any information on those. The Christian Federation of Malaysia, which had called for the release of all Bibles, described the seizure as "ridiculous and offensive." "This constitutional right (to practice freely) is rendered illusory if Christians in Malaysia are denied access to Bibles in a language with which they are familiar," the federation's chairman Bishop Ng Moon Hing said in a statement. He also rejected concerns that Bibles in the Malaysian language, or Bahasa Malaysia, containing "Allah," will upset Muslims. "Bibles in Bahasa Malaysia have been used since before the independence of our country and have never been the cause of any public disorder," he said. Malaysia gained independence in 1957. Aku menentang penggunaan Kalimah Allah untuk menggambarkan tuhan bagi agama lain. Allah adalah Tuhan yang mencipta langit dan bumi, bukan Isa al-Masih (Jesus), bukan patung yang disembah. Aku tidak mahu banyak mengomen, cukuplah untuk aku mengatakan bahawa aku terganggu membaca berita ini. (Aku lihat juga siapa penulisnya). -Christians say the Muslim Malay-dominated government is violating their right to practice their religion freely. Ada komen? Aku tak mahu komen, tambah sakit hati. -The Christian Federation of Malaysia, which had called for the release of all Bibles, described the seizure as "ridiculous and offensive." Ridiculous and offensive. Tuan-tuan, diulangi, ridiculous and offensive. Tahi kucing!! ->"This constitutional right (to practice freely) is rendered illusory if Christians in Malaysia are denied access to Bibles in a language with which they are familiar,"
Masalah sekarang ini, siapa majoriti penganut Kristian? Kenapa mesti ada Bible dalam bahasa Melayu, dan kenapa mesti menggunakan Kalimah Allah. Kalau aku ingin beremosi, aku akan bertanya begini: Kenapa pertuturan hari-hari tak gunapun bahasa Melayu? kenapa di pejabat asing bahasa Melayu? Kenapa dalam perkara lain, tak mahu guna bahasa Melayu, tak pandang bahasa Melayu, tiba-tiba Bible nak baca dalam bahasa Melayu? "This constitutional right (to practice freely) is rendered illusory if Christians in Malaysia are denied access to Bibles in a language with which they are familiar,"
Familiar sangatkah bahasa Melayu dikalangan penganut Kristian? Bahasa Melayu bahasa ibunda merekakah? Hah?? Kenapa suka sangat cari pasal dengan Muslim? Kita selalu beralah, mengalah. Semua tindakan, semua benda nak kena jaga hati, nak kena jaga sensitiviti orang lain. Padahal mereka tak pernah nak fikir tentang kita, maslahah kita. Bacalah berita di atas, selamba badak sahaja dia cakap yang bukan-bukan. Tapi kita, tetap tuli jugalah. Bergaduh sesama sendiri, menangkan kera dihutan, tak mengapa kalau anak terkorbanpun. Tak mengapa, memang kita tak kisah. Kan? kamu silap. Usahkan menggunakan kalimah Allah di dalam Bible, kamu bercadang nak guna sahajapun, sudah meng'upset'kan aku, seorang Muslim. Belum lagi membaca Allah di dalam Bible, membaca berita inipun aku sudah terganggu. Sudah terganggu. Sangat terganggu. nota: kenapa mereka sangat bersungguh-sungguh ingin menggunakan kalimah Allah? Kenapa?